Raaga.com: Is Akshay Kumar switching to serious cinema? Bollywood top star Akshay Kumar recognized for his action and comedy films seems to be switching his track from the regular run of the mill typical Bollywood masala potboilers to doing movies that are socially relevant and have a message. 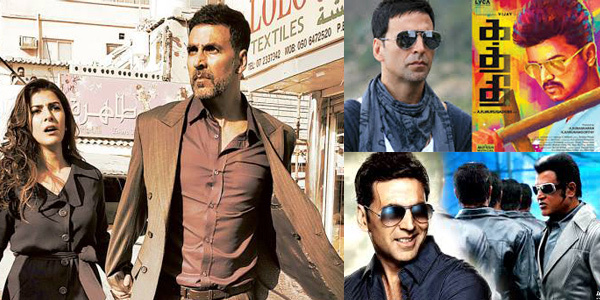 Besides AIRLIFT the latest news is that Akshay Kumar has also nodded to play the lead in the Hindi remake of Tamil blockbuster KATHTHI, directed by A R Murugadoss. Reports claim Akshay Kumar, who recently donated Rs 90 lakhs to drought-hit farmers in Maharashtra, was quite pleased by the script of KATHTHI that deals with farmers committing suicide due to corporate encroachment.